(190) Desmond Muckian ~ Florence Welch, 2010 (29 May 2011). Over the holidays I filled some of the time I might otherwise have spent with my son August (his Mom was busy performing her Grinch impersonation) plowing through Steig Larsson's Millennium trilogy. The books are a real kick and I don't think one should take them too seriously. Nevertheless, this week the NYRB published this interesting review of the trilogy. I have not seen the Swedish film version, but now we have the first glimpses of the upcoming U.S. film re-version  . I'll be able to see the film next Christmas. (The image I've lifted here is Rooney Mara who plays Lisbeth Salander in the first installment. Photograph by Jean-Baptiste Mondino.) While I don't want to be a purist, the initial reports on the American re-make claim that "the ending has been completely altered." How can that be good? We'll see. 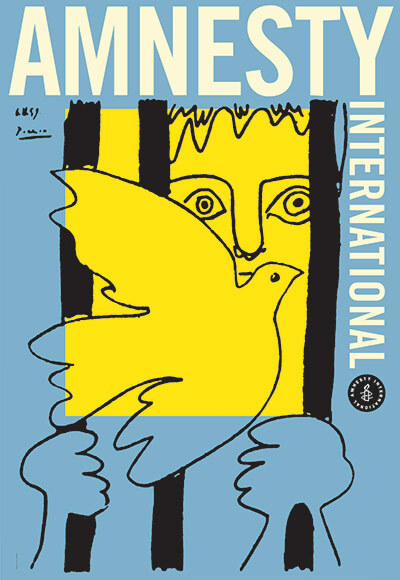 Amnesty International was founded fifty years ago this weekend. As far as I can tell, there is approximately no coverage in the mainstream American media. You can find coverage here and here and here and here at The Guardian. I started to write this post a while back and got distracted. It seems the point, if somewhat less current, is nonetheless still worth making. on May 15, 2011. Photograph © Jewel Samad/AFP/GETTY IMAGES. I have no particular sympathy for Dominique Strauss-Kahn. He has been accused of sexual assault and indicted on the charges. I trust that he will get a fair trial. The woman involved, of course, deserves a trial that is fair too, in the sense that it takes place without accusing her and without her word being lost in the glare of celebrity and privilege. I wish I were confident that she will get what she is due. 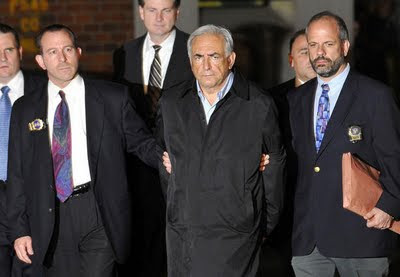 It turns out that the sort of aggressive behavior of which Strauss-Kahn is accused is relatively common. That is no excuse either. The outcome of the trial will no doubt send a loud signal to other hotel staff and their employers. The stakes beyond this particular case, in other words, are high. At The Nation, The New Republic, The Economist various commentators took up the outrage that French politicians and intellectuals have expressed at photographs of Strauss-Kahn on his "perp walk." The complaints are presented as being about how misguided it is to treat a respected member of the elite class as a common criminal. My complaint is that there really is no reason to treat any criminal - common or otherwise - in so humiliating, prejudicial a manner. What is the use of such photos? They clearly set the agenda - the accused is treated as though he or she is dangerous and guilty in ways that clearly subvert any presumption of innocence. And they depict the police, as symbols of social order, reinforcing their claim to authority, regardless of whether or not it amounts to anything more than arbitrary assertion. According to news reports such images are legally proscribed in France. If it is necessary, to prevent attempts at escape and to insure the safety of police officers, that prisoners be kept handcuffed and shackled, the policy clearly ought to apply to all regardless of status or wealth. But if such a policy is necessary, there is little reason to allow photographers - paparazzi, really - access to the prisoner. 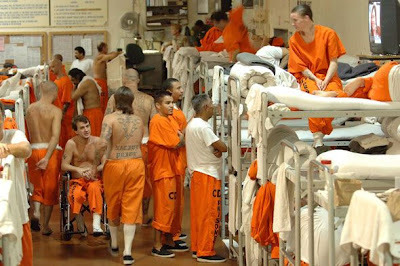 Habeas corpus requires that prisoners be granted access to family and legal counsel, not to the news media. So, beyond subverting the basic presumption of innocence and inflating the, too often mis-ascribed and mis-used, authority of the police what exactly is the point of this practice? 5,600 inmates and is 97.5 percent over capacity. 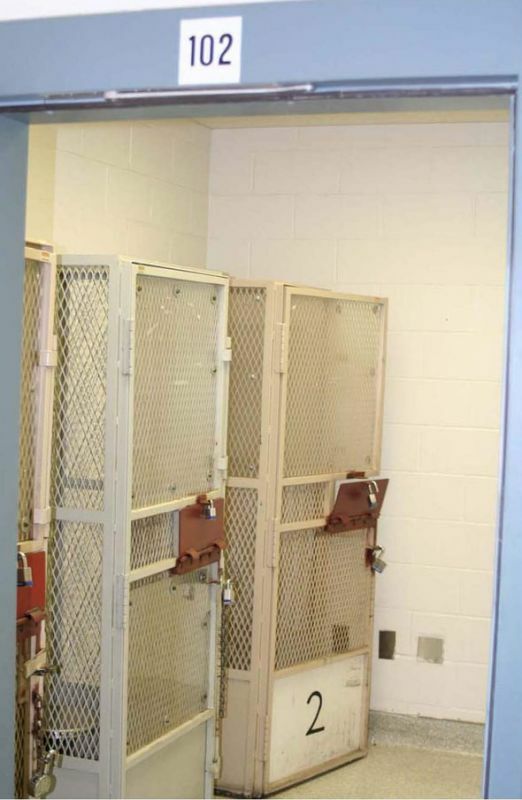 Holding cells for prisoners awaiting a "mental-health crisis bed,"
explained they had 'no place to put him.'" wall read, "No Warning Shot Is Required." The photographs are credited to the California State Department of Corrections. You can find more, as well as a short background essay, here at Mother Jones. Rights - like those appended to the U.S. Constitution - presume agreement on what sorts of entities can bear them. In other words, we must agree on who is a human if we want to talk about human rights. Richard Rorty insisted that we define that category - who counts as human and therefore as "we" - based on detailed descriptions contained in works of fiction. It seems that for some, at least, of our justices, photographs provide just such descriptions. 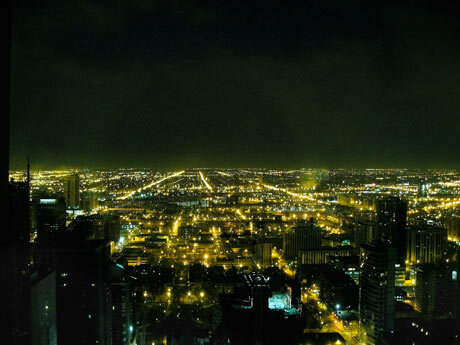 (189) Moby - Insomniac's View, Chicago 2008 (24 May 2011). I just read two stories that really present amazing evolutionary accounts, both are from The New York Times. While crabs are in short supply in these parts, there are owls living in the orchards that surround our house. She seeks to blend politics and art to empower immigrants through English classes, legal help and impromptu performances. She has held workshops to write slogans — like “I am today what your grandparents were yesterday” — that she plans to print on bumper stickers and T-shirts. And she intends to live like her working-class Latino neighbors; she has vowed not to tap her credit cards, personal bank account or assistants in Italy and Cuba. She has already learned a thing or two. After finding her apartment and roommates in January through a flier on the street, she was surprised that the local gym did not offer yoga. The apartment had no heat through the winter, and her minimum-wage salary, which she wrote into the project description, offers little leeway. “One week I saved $8,” she said, standing in her spartan bedroom, which can barely fit the dresser she found on the street. Poor thing. No convenient yoga studio. What else will she spend her surplus eight bucks on? And, to think, poor immigrants want mundane things like legal aid and jobs! Who would have thought that? Who would've thought that actual anxiety might come from actually living close to the edge without the safety net? I find Bruguera's desire to vicariously experience the anxiety poor working people live on a daily and non-optional basis repugnant. Of course, she won't give a hoot about what I or anyone else thinks. Can she fathom, though, why her roommates and neighbors may not feel terribly excited by the prospect of being choreographed for her project? Yesterday I posted a graphic from The New York Times showing that regardless of party affiliation the public thinks job creation and economic recovery are considerably more important than deficit reduction. It turns out that the public is pretty smart. They know where the shoe pinches. But suppose one were really, really wound up about deficits? In the past I have posted graphics   showing the sources of our current deficit woes - primarily military adventures abroad and the Bush tax cuts bequeathed to us by Republicans and more or less enthusiastically embraced by the Obama administration. (Let's be fair, it was less enthusiasm than political incompetence on the part of Democrats that insured the tax cuts would be renewed last winter.Lesson? If you have a majority use it to advance important policy goals because you may well lose it and then you are screwed.) In any case, the underlying problem has not altered one bit as the graphic I've lifted here makes clear. 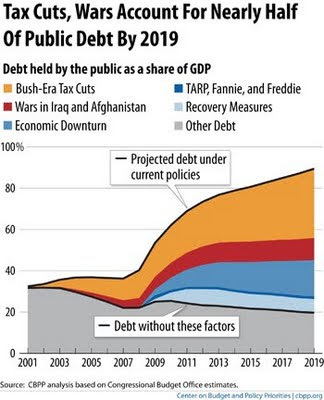 As this graphic indicates (the grey portion at bottom) the non-war, non-oligarchic (tax cut) portions of the pubic debt account for a declining portion of the deficit going forward. So, why have the Obama administration and the Congressional Democrats allowed the Red-state types set the economic agenda? The mandate of the 2010 elections hardly is as crystalline as the deficit hawks claim. End the wars rescind the tax cuts and we need not be cutting programs that impact only poor, working class and middle class Americans. But that is bound to infuriate our oligarchs. And there is the nub of the problem: the Democrats are not interested in doing that. Yet they may not have a choice. Because it also is becoming clear that job creation, even as an explicit policy, is not a sufficient remedy for our political economic problems. As Dani Rodrik has pointed out here and Mark Thoma amplifies his point here, a good portion of the problem is distributive. And in order to remedy that pattern it is necessary to step on some oligarchic toes. 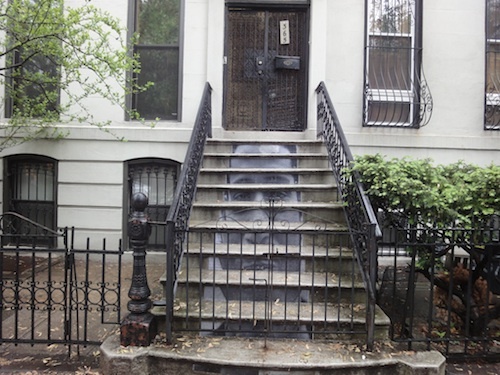 I have posted here a number of times about the anonymous artist JR and his work. 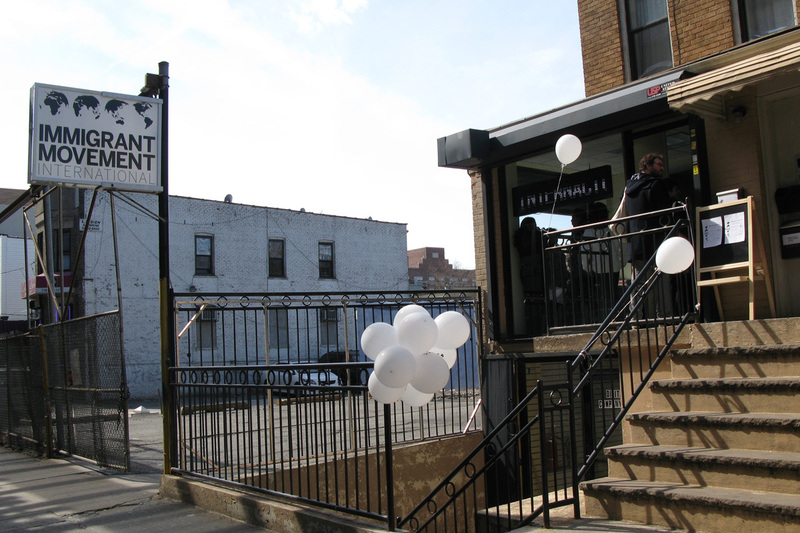 In The New York Times today there is a story about a current project of his in Park Slope, Brooklyn celebrating local shop keepers in the face of what passes for economic development. * I am not so convinced that the imagery transcends class - it seems that the pressures on the shopkeepers reflect deep class divisions, with the less well off pressured by larger economic forces working to the benefit of the better off. And I am not sure that the project will mitigate the displacement caused by the development project in the neighborhood. But I am impressed by the way the project brings voices and faces into public, indeed by the way that seemingly private concerns are re-framed as a public matter. And in that sense, while the project is not in itself directly political, it may afford some basis on which people in this neighborhood might, in the words of C. Wright Mills, more successfully translate their "personal troubles" into "public issues. "** In fact, as the report in The Times makes clear, the images and the people installing them seem to have actually established public space, however fleeting, in which people can interact in new ways. And that is political to the core. * The actual execution here seems to be by Inside Out. 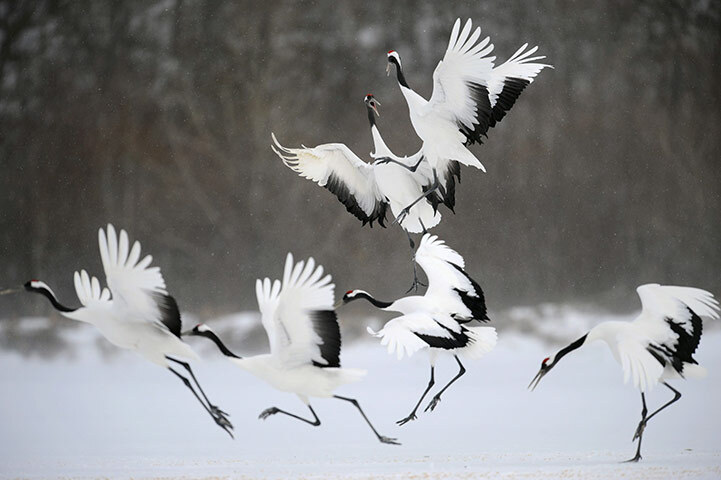 The images here are lifted from this post by Emily Nonko. ** In that sense the images here bring to mind those that I note in this post. This graphic (click for a legible version) is telling. I accompanies this frank Op-Ed from The New York Times. If the Democrats really wanted to relegate the Republicans to more or less total irrelevance they would ignore the right wing deficit hawks and take steps to mitigate economic hardship for the bulk of the population. That, after all, seems to be a universally popular policy stance. Forget doing something because it is the right thing to do. Craft a politically popular policy and sell it. Apparently, the Democrats cannot even pursue their own political interests. Why repeat this? Because it seems pretty smart. I work in a department that thinks social inquiry generates "determinate conclusions". There is little evidence that it does and a lot of reason to think that what we are best able to do is generate clearer understandings of our possibilities. he disappeared. Photograph © Unai Arandzadi. The New York Times is reporting that photographer Anton Hammerl has likely been killed while working in Libya. You can find the story here and here. You can find a report here in The Guardian and a touching remembrance here at The Atantic too. 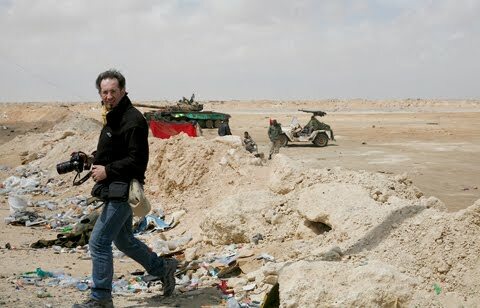 This, of course, is only the latest in a series of causalities among photojournalists in Libya. Red-crowned cranes in blustery conditions at Kushiro. 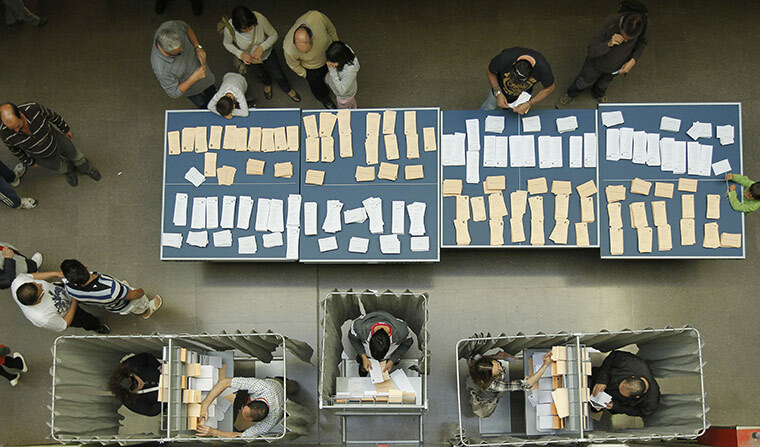 The photographs in this slide show at The Guardian are not standard fare here. But several of them, including the one I've lifted here, are simply exquisite. There has, over the past few weeks, been a set of fairly vituperative encounters among black intellectuals and politicians regarding the Obama administration. Not long ago there was the on-air dust up between Cornel West and Al Sharpton with the latter defending the Obama administration in the face of the former's frank criticisms. That prompted a visit to Princeton (West's place of employment) by interim head of the Democratic National Committee, Donna Brazile aimed at sorting out the issues. Apparently the professor and the politico have agreed to disagree. West just has published this interview in which he remains resolutely critical of Obama and his policies. He characterizes the president as providing "a kind of black face of the DLC [Democratic Leadership Council]." That interview, in turn, has prompted this rejoinder in The Nation, with Melissa Harris-Perry coming to Obama's defense. Much of this dispute is conducted in personalized, indeed psychologized terms. That is more or less wholly unhelpful. And all of the participants have substantial egos. That does not help either. But both of those things are, in my estimation, totally beside the point. It seems to me that on matters of substance West's criticisms of Obama's politics and policies are more or less right on point. Moreover, I think it is healthy to have critical debate in a party seemingly intent on running to the middle on virtually every issue. Because in that direction there is no help for those, regardless of color, who constitute the middle and working classes or the poor in the United States. And while Dr. West speaks in a colorful way that is not to everyone's liking, he regularly speaks up for those from whom the Democrats are turning away. Isolated Building Study #22 (2007). Photograph © David Shalliol. I recently received the alumni magazine from the University of Chicago where I went to graduate school. Typically the magazine contains little of interest. This time, though, you can find this really terrific story on a graduate student in Sociology, David Shalliol, who is using photography in really interesting ways. There is an accompanying slide show of his work here. You can find a lot more of Shalliol's images here on his Flickr page. I especially recommend the interactive map feature. I find these images fascinating because they capture buildings as artifacts - residuals, as it were - of large scale aggregate processes, both demographic and political-economic. 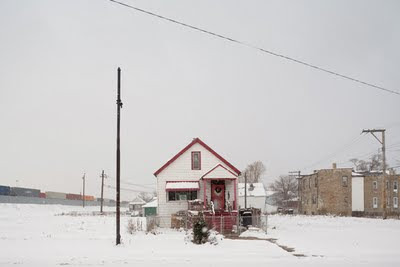 It is interesting in that regard to contrast his work to that of someone like Chris Jordan who takes quite different photographic approaches to such aggregate phenomena. This is really thought provoking work. British photographer Michael Ward has died; you can find an obituary here at The Guardian. Worse still, as Jack & I point out here, the economists neglect how their own models of technocratic rule (the modern day form Platonic guardians would take) in fact highlight the inevitability of distributive politics and the ubiquitous opportunity for corruption. If politics is unavoidable, democratic politics is indeed what we need. The proliferation of counselors and student affairs staff working for Deans, Associate Deans, Assistant Deans, other Sub-Deans and so forth places all sorts of upward pressure on college budgets. All that re-enforces the consumption mentality that shows up in my classroom all too often. And that rarely is the source of complaints by critics of higher education. So, Which Waxed Male Chest is Offensive and Which Is Not? I recently cited the Rob Lowe cover here. Of course, Barnes & Noble and Borders are not serious booksellers, so the hypocrisy here is somewhat less than it might be. (Mostly, these outfits sell least common denominator crap.) But the local B&N store (in what I suspect is a corporate level campaign) has an annual "Banned Books" window display as though they are defenders of freedom of expression. Beefcakes? Yes. Androgynous types? Not so much. Q: What are the things you find most beautiful in science? The opening quotation is a question posed to and answered by physicist Stephen Hawking. You can find an excerpt from the interview here at The Guardian. It brings to mind one of the books that is most influential in my thinking these days, which is by philosopher Hilary Putnam and is entitled The Collapse of the Fact/Value Dichotomy and other Essays. * In the book Putnam argues against subscribing to a view of science (and social science in particular) as sustained by a strict metaphysical dichotomy between facts and values. The world simply does not come pre-packaged in that way. Sure we can draw a distinction between the two for specific purposes in particular situations. But that is that. Against those who seek to inflate some such particular distinction into a full-fledged, comfort affording dichotomy, Putnam offers something of a pincer argument. He suggests that (i) on the one hand, most views of "facts" are sustained by suspect philosophical commitments and (ii) values are plural and that they are entangled with our pursuit of scientific knowledge in complex ways. In particular he suggests that we become less pre-occupied with putatively "moral" or "ethical" values and recognize the ubiquity of cognitive and aesthetic values in science. Hence the way Hawking's comment reverberates: simple explanations are beautiful. * Hilary Putnam. 2004. 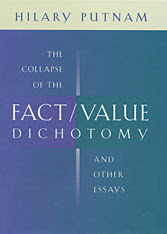 The Collapse of the Fact/Value Dichotomy and Other Essays. Harvard University Press. I will note too that the color scheme of the cover is consistent with other recent works by prominent pragmatists. 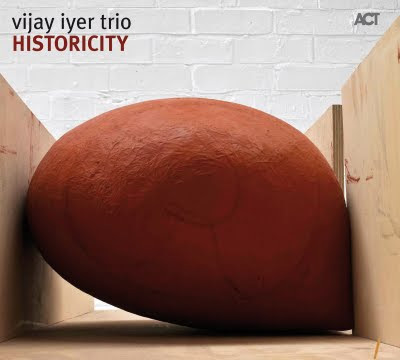 And here is an enthusiasm I posted a while back indicating why I think Iyer is an intriguing fellow. This is a guy I'd like to talk art and politics with some day. All that, however, is something of a diversion from the more pressing matter at hand. 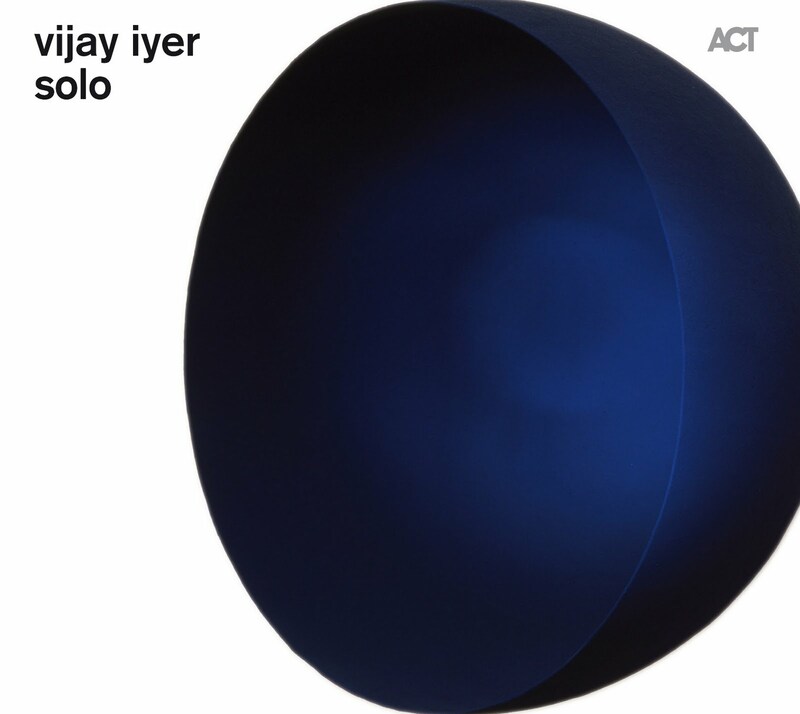 Recently Kapoor has been in the news for having installed a massive sculpture at the Grand Palais (Paris). He calls the piece "Leviathan" which is appropriate in multiple ways; first because, like fantastic monsters of the deep, it swallows up visitors, but also, in a Hobbesian vein, because Kapoor has dedicated the sculpture to Ai Weiwei, the artist/provocateur who has been detained incommunicado by Chinese authorities for a month. Earlier posts on Ai, his arrest, and some of the response to his predicament are here. Like Kapoor, who urges habeas corpus on the Chinese authorities, The Guardian rightly asks: Where is Ai Weiwei? P.S.1: I find it ironic that right-wing outlets, normally viscerally averse to the intermingling of art and politics, apparently find it wholly laudable in this instance. Need a good example? Read this missive from The Wall Street Journal. P.S.2: This is a post that the blogger folks disappeared and that I have tried to reconstruct. It may differ from the the initial version in marginal ways. Over at NPR you can find yet another story about people being arrested for filming or photographing law enforcement officers in the line of duty. The NPR reporter takes a typically mamby-pamby stance in the end. The point that many police officers - and the reporter - seem not to get is that they are public employees performing a public function in a democracy. And the talking head from the Fraternal Order of Police does nothing for the cause by describing how police officers have to act without thinking. What I want from law enforcement is thinking, not blind reaction. Blogger seems to be experiencing ongoing technical problems. They "lost" at least one post of mine. It's nothing personal, they've lost posts from other bloggers too. Lots of promises on the help forum about things being fixed and back to normal. We'll see. 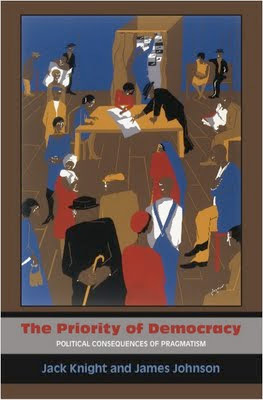 The book is being published jointly by Princeton University Press and the Russell Sage Foundation. Information here. It seems that my initial reaction to the (now withheld) dead Osama pics was pretty common: both David Levi Strauss (here at TIME) and Sean O'Hagan (here at The Guardian) make the analogy to the dead Che Guevara image from 1968. Both columns are worth reading. And here I thought I was being sooooo insightful! Richard Rorty once published a longish interview with the title Against Bosses, Against Oligarchies. In it he advanced a typically smart, typicaly crotchety set of philosophical and political views. I remember at the time thinking that the stress on oligarchs was a bit simplistic. More recently, as part of my day job, I agreed to publish a paper by Ben Page and Jeff Winters in the journal I used to edit; it was entitled "Oligarchy in the United States?" (abstract here). In it, the authors suggest that the U.S. could best thought of as a mixed regime - characterized by being an oligarchy in addition to being democratic - and that oligarchy needn't entail conspiracy or concerted action on the part of elites and a bunch of other sensible things. The paper is smart and considerably less simplistic than Rorty's assertion, but the stress on oligarchs still seemed to me rhetorical overkill. Watching the ways American politics has drifted in recent years has made me more sympathetic to the Rorty and Page/Winters views. This is an idea that seems to be in the air. People much smarter than I are entertaining it right out there in respectable society. For example, Paul Krugman here in The New York Times today and Joseph Stiglitz here in the May issue of Vanity Fair. Yes, right there in the same magazine as beefcake Rob Lowe and his waxed chest, we learn that "Wealth begets power, which begets more wealth." Just so. Shifts in Union Political Tactics? Susan has brought a couple of heartening news items to my attention. The first, from Salon, is this interview with AFL-CIO president Rich Trumka, whom I admire very much. Trumka, who supported Obama's election courageously,is now highly critical of the administration for its failure to support a working class oriented economic agenda. He promises a campaign push for state and local candidates. The second is this news report from The New York Times indicating that the International Association of Firefighters plans to re-orient their campaign spending away from Federal races too. I actually think that the unions ought to give money only to Congressional representatives and Senators who support the progressive caucus. Susan thinks they ought to find a bunch of safe Democratic districts and mount primary challenges to incumbent Democrats. The aim would be to run union members for those seats. I think both tactics are worth pursuing in addition to running hard against right-wing governors. This short report in The New York Times Magazine is worth reading. I guess I wonder why people find it so hard to understand why war photographers pursue such a dangerous career. There are lots of people who undertake risky work for ends that are far less worthy of our admiration. The past week has been a busy one, I had not one but two trips out of town. And mid-week, my oldest son Douglas graduated from college. It was quite a wonderful thing to see him get his degree - a B.S. in biology. He won an academic award for the best research presentation among the seniors graduating from his department (all of whom have to design and conduct an independent research project). And he was named to the all-conference lacrosse team for Sportsmanship. What a great guy! (188) Georg Gerster ~ Takht-e Soleyman, Iran 1976 (5 May 2011). Well, as I suggested yesterday morning, the military did indeed photograph Bin Laden's corpse after killing him. And the "controversy" is on as to whether, why and how the government might release the images. It is, of course, simply a matter of time. INSKEEP: In a few seconds, Mr. Brennan, why haven't you released photos of Osama bin Laden? Mr. BRENNAN: We are in the process of releasing a lot of information to the American public. We want to do it in a thoughtful manner. INSKEEP: But why not photos? Mr. BRENNAN: We are considering, at this point, releasing additional information, but that is a decision to be determined. INSKEEP: So you may release photos, but not yet. Mr. BRENNAN: So we may release photos, yes. INSKEEP: What would prompt you to do that? Mr. BRENNAN: There is not a question at this point, I think, in anybody's mind that bin Laden is dead. And so I know that there are some people who are interested in having visual proof. This is something that we're taking into account, but what we don't want to do is to release anything that might be either misunderstood or that would cause other problems. MR. BRENNAN: We are looking at these decisions and we'll make the right decisions. INSKEEP: Mr. Brennan, thanks very much for your time. Mr. BRENNAN: Thank you, Steve. INSKEEP: John Brennan is assistant to the president for Homeland Security and counterterrorism, part of the team that made decisions that led to the death of Osama Bin Laden. . . . It's MORNING EDITION from NPR News. Ghosts walk among us. Not everyone wishes to acknowledge them. No one agrees what they might do. And everyone seems worried about how others might respond to them. Pressed by reporters to explain why no photographs or video of Osama bin Laden's body have been released yet, the White House press secretary, Jay Carney, said Tuesday afternoon, "It's fair to say that it is a gruesome photograph. Mr. Carney also said: I'll be candid that there are sensitivities here in terms of the appropriateness of releasing photographs of Osama bin Laden and in the aftermath of this firefight. And we're making an evaluation about the need to do that because of the sensitivities involved. And we do– we review this information and make this decision with the same calculation as we do so many things, which is what, you know, what we're trying to accomplish, and does it serve or in any way harm our interests. And that is not just domestic, but globally. 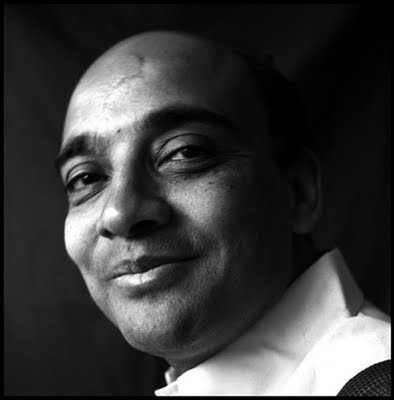 [ii] A plea to withhold the photograph from Phillip Gourevitch at The New Yorker here. Mr. Bin Laden's body was buried at sea, in order to be in accordance with Islamic tradition that burial take place within 24 hours, according to a person familiar with the situation. The Saudis declined a U.S. offer to take the body, this person said. Hundreds of onlookers gathered outside the White House—and at Ground Zero in New York City, where the twin towers of the World Trade Center once stood—to mark the moment. Frank Cantwell, a 64-year-old operating engineer at the construction site there, said there were only a few people present when the news first broke. "It's long overdue," he said. "You can sort of hear the silent cheers of 3,000 ghosts." As we do, we must also reaffirm that the United States is not –- and never will be -– at war with Islam. I’ve made clear, just as President Bush did shortly after 9/11, that our war is not against Islam. In thinking about all of that, one set of images came immediately to mind. 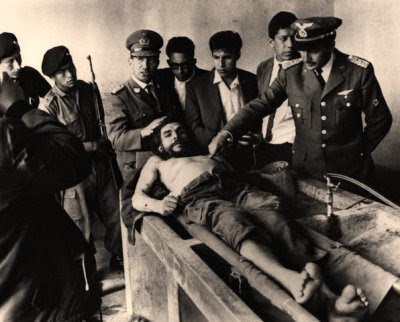 It is of Bolivian military personnel displaying the body of Che Guevara soon after they had captured and executed him. The passion of the Che (10 October 1967, Vallegrande, Bolivia). There has, of course, been a persistent low-intensity political contest over Che's remains for almost half a century. Surely, having secured a DNA sample as "proof" of Bin Laden's demise, U.S. military and political officials wanted to minimize the possibility of an analogous fracas surrounding his corpse. Although we apparently lack (at least for current public consumption) a "Passion of Osama" photo*, the Bin Laden - Guevara analogy is hardly strained: massive U.S. mounted man-hunts in rugged exotic terrain for an extremely charismatic, ideological fanatic threatening to American security. And then, of course, there are the tee-shirts I've mentioned here before. *Does anyone doubt that such photos exist in the military files on this mission? 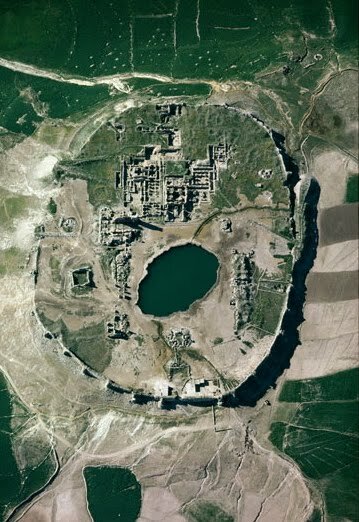 If we have DNA samples to test we surely also have images to confirm events. 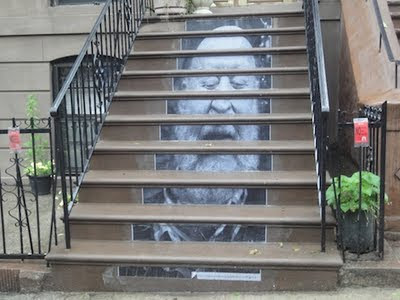 I posted last month when the Chinese government arrested artist and political critic Ai Weiwei. You can find in depth coverage of the situation surrounding Ai Weiwei - including reports on the detention of his associates and other critics of the government - here at The Guardian. You might also check out this trailer for a forthcoming Frontline documentary on Ai Weiwei. It seems appropriate today to raise questions concerning Ai Weiwei's whereabouts. Why? Because today a set of his sculptures will "open" in Central Park. You can find a story here about Ai, his art, and his politics; npr broadcast it yesterday, using the New York City "opening" as a pretext. Rather than lift a picture of Ai or of his works, I thought it more appropriate to pilfer this image. What you have is a photograph of a projection that, according to news reports, an artist operating under the pseudonym Cpak Ming surreptitiously made late last week onto the exterior of the Barracks of the People's Liberation Army in the center of Hong Kong. 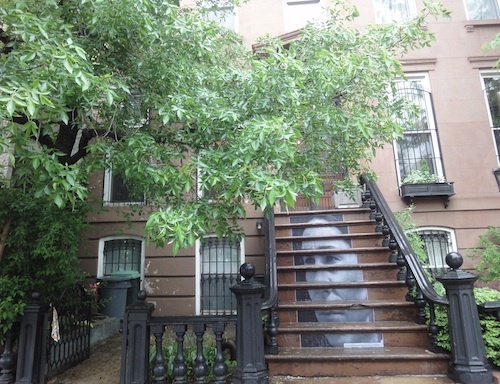 * The projection depicts Ai and asks rhetorically "Who Is Afraid of Ai Weiwei?" Asked and answered? 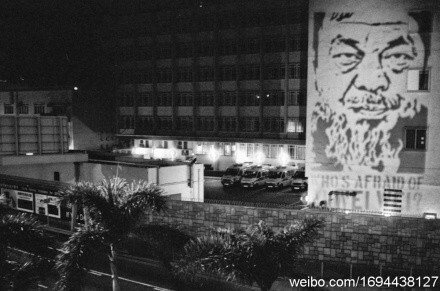 * The same image reportedly (look here too) also is being stenciled elsewhere in Hong Kong. “If this means there is one less death in the future, then I’m glad for that. ~ Harry Waizer, a World Trade Center survivor (here). A crowd celebrated outside the White House on Sunday. 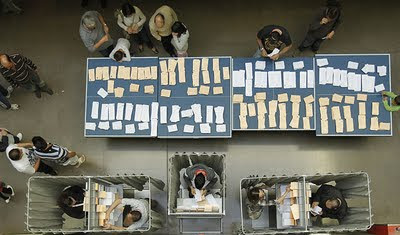 Photograph: Doug Mills/ New York Times. I have to agree with Mr. Waizer's deep ambivalence. I simply cannot find it in me to share in the glee and chanting and jubilation. From: New Masses (30 April 1946). The prize for 2011, according to this release in The Guardian, has gone to self-proclaimed "documentary storyteller" Jim Goldberg of that oh so radical Magnum Agency (here too). Don't get me wrong; this is not a complaint about the judges's decision. The Magnum crowd, Goldberg surely included, are talented and produce lots of provocative work. The point is that the jury this year, like it regularly has done in recent years, has honored a pretty mainstream documentary undertaking. Moreover, they have honored a photographer who works for what arguably is the pre-eminent establishment institution in the field. No news there. 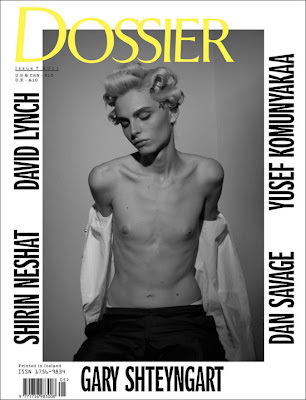 I say all this just to remind folks about Sean O'Hagan's plaintive voice which is raised annually asking why, oh why the Deutsche Börse short list is so full of dreaded "conceptual" photography. O'Hagan, of course, is photography critic at The Guardian. You can find his most recent missive on the matter here. police the boundaries of legitimacy. They are obsessed with political legitimacy, he is worried about what is legitimate photography. I've pointed out several times - here and here and here - how far off the mark O'Hagan actually is. In light of this recent decision, we can, I suppose, anticipate a reconsideration in his column any day now?